China Railways recently had an annual meeting where goals for this year were finalised. This comes after an exceptionally successful 2014 where more of China’s 4×4 HSR network were realised, including extensions only approved in 2008. In 2014, 0.8 trillion yuan were put into the railways for investment. 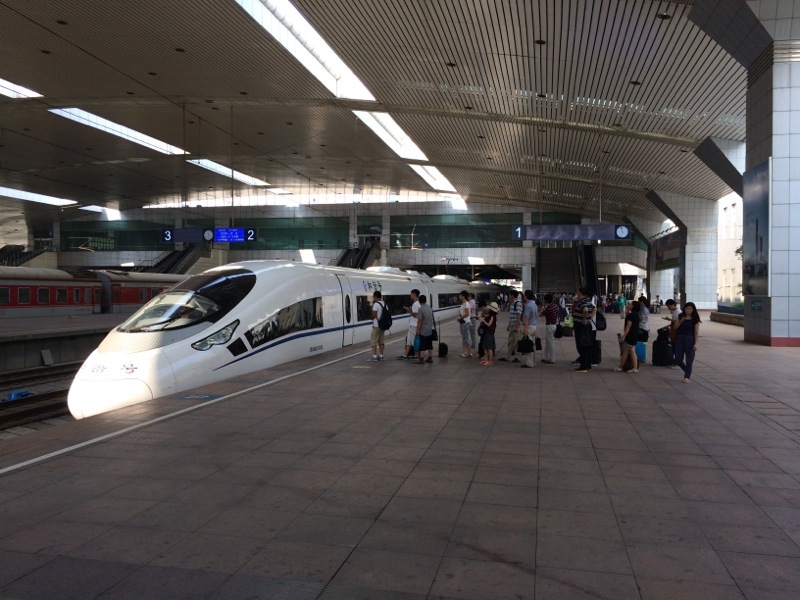 Of China’s 112,000+ km rail system, HSR accounts for 16,000 km, making it hands-down the world’s largest such network. A record 8,427 km of new rail routes were put into service for just 2014. 12% more passengers were carried year-on-year. For 2015, China Railways plans improvements to internal management, transport organisation, safety, rail technology, operations, and general alignment with national strategy. China Railways plans to continue its 2015 development in conformity with Xi’s “new normal” when it comes to economic growth. As is the case with 2014, it plans to go through yet another accident-free year (when it comes to major accidents; in fact, aside from the most recent HSR crash in mid-2011, China Railways has been incredibly safe). It plans also to finish nearly all projects committed for China’s 12th Five-Year Plan, although since the mid-2011 crash, a number of these have been delayed. The railways also plan to treat its staff better by “improving living standards”, which to many well-versed in the bureaucrat-speak hints at higher salaries. The railways are also planning to increase their international collaborations. On the home front, Xi’s anti-corrupt campaign is also making inroads in the railways, and finally, China Railways Corporation pledges to “innovate propaganda thinking culture work”, which is not as scary as one might think. It, in fact, means the railways wants to improve its PR campaign, which for too long had been stuck in an Old Comrade-ish 1950s style, but has seen visible changes in the Weibo era.